This chapter offers insights into the interdisciplinary nature of bioinformatics and its contribution and relevance to modern biological research. Modern scientific disciplines like bioinformatics have become highly interdisciplinary. The release of the complete draft of the human genome has virtually revolutionized the shape of modern biological research and has allowed researchers to perceive and interpret complex molecular processes that sustain the life. 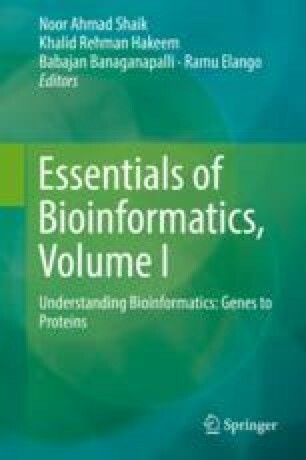 The discipline of bioinformatics includes adopting diverse range of computational approaches to carry out sequence alignment, structural modeling, biological database design and development, structure prediction, molecular pathway prediction, and in silico gene prediction and mapping. Bioinformatics presently offers excellent highly cohesive data management platforms that work as a seamless interface between wet labs, clinical settings, and state-of-the-art software and database environments.